The Mac and Cheese Fest is ON SALE! 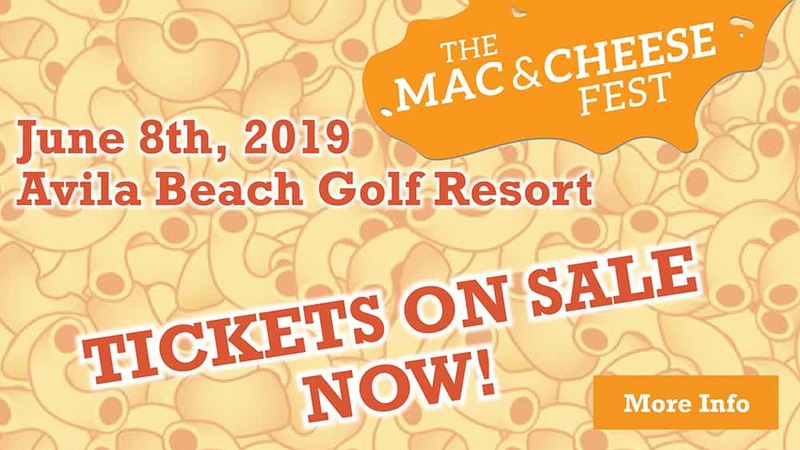 The 8th annual Mac and Cheese Fest is coming back to the Avila Beach Golf Resort on Saturday, June 8th from 2pm-6pm! This is your chance to taste the best mac and cheese from the best chefs and caterers on the Central Coast! Back for 2019, reigning champs, Chef Jeffry Weissinger from Jeffry’s Wine Country BBQ, Chef Gregg Wangard with the Paso Robles Joint Unified School District and more! Not to mention the areas best wineries and craft breweries! Get ready to groove with Live Music too! Spend the afternoon soaking up the Avila Beach sun, tasting the best mac and cheese and drinking the best wine and craft beer the Central Coast has to offer! And don’t forget that great live music as well as your chance to ride a mechanical shark, from Central Coast Party Factory! And in case you were wondering there are apparently 5 ways to eat Mac and Cheese. Which will you be using come June 8th?